I need help on setting Log4j setting for Different Logstash servers. I have 3 different Logstash servers, and 3 different Job servers. Logstash server is different than Job Server. I have set log4j in my studio only for 1 logstash server not for all 3. I am running the job in 3 different job servers. If i set up 3 logstash apenders for each logstash servers, logs will be going to (DEV, QA and PROD) together, which i dont want. Is there any way to setup LOG4J so that i get the logs when i run the job in any of the job servers. QA logs when i run the job in QA, like wise for PROD. 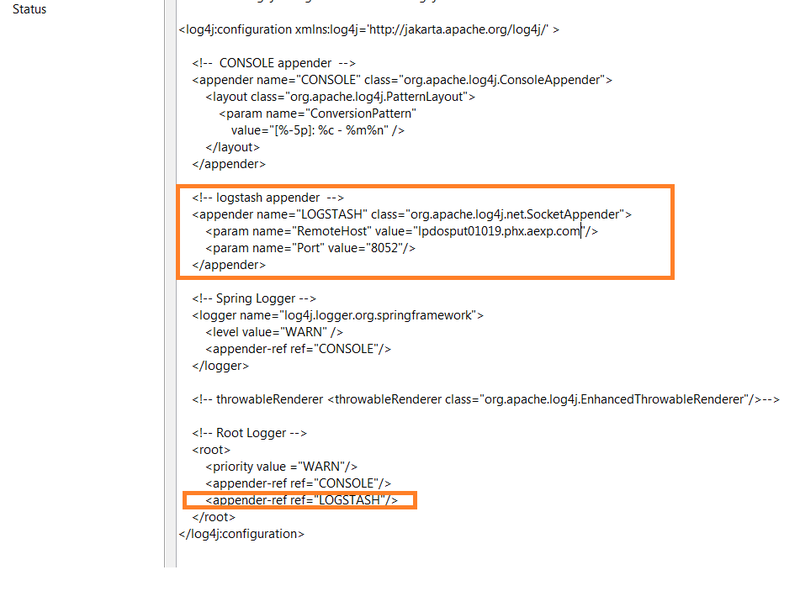 Logging works fine if i setup 1 Logstash appender in my LOG4J setting. I can't use "Localhost" as Logstash and Job servers are different. Please let me know if you have any idea on this. I tried using context variable, but if i provide context variable as below, It is not working in LOG4J setting. It is not accepting context variable in Studio log4j setting. It is not giving error but logs are not getting logged. 1. Are you able to get component level logs using context variable in log4j setting. 2. 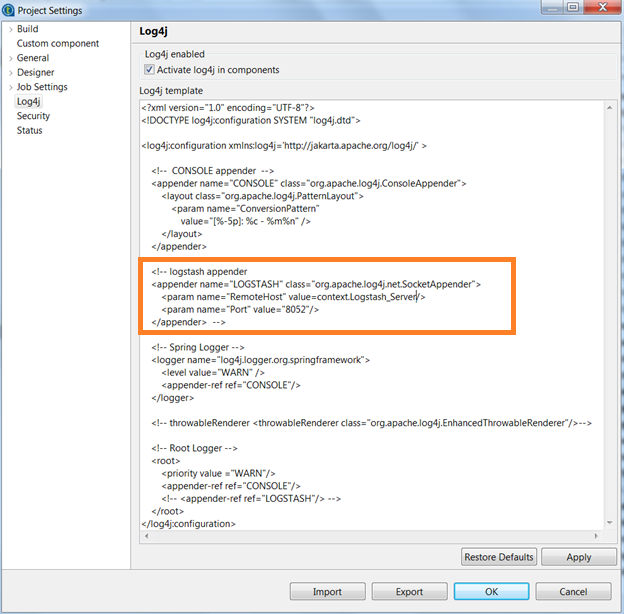 I am giving logstash appender in Studio log4j setting (See attached), SO is this the only way to get component level logs or is there any other way i can add logstash appender to get component level logs. For each of the 3 job servers, we need to include Logserver IP address in the "hosts file" located at "/ect/hosts"
Added logstash IP address in Job Server 1 "hosts file"
Added logstash IP address in Job Server 2 "hosts file"
Added logstash IP address in Job Server 3 "hosts file"